Teofimo Lopez was absolutely right. Boxing, while violent and potentially life-threatening, is maddeningly entertaining. Fight fans tune in for the competition, all of the aesthetics and even the carnage. 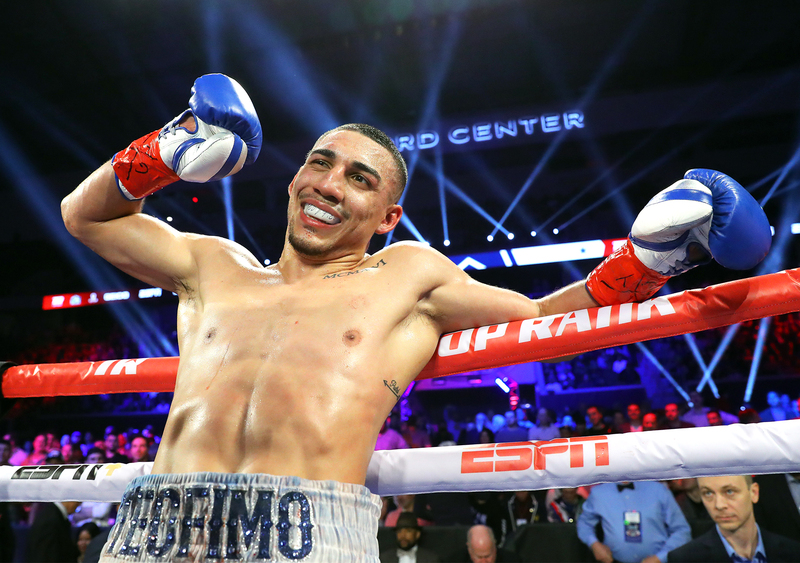 Saturday night this writer was fully in his entertainment bag as the momentum of the landing from Lopez’s backflip carried him over to within feet of the back of badly hurt Diego Magdaleno. Once there, the prodigious Lopez ad-libbed a shoveling motion, signifying any one of today’s brazen phrases to caption defeat of an opponent. The 21-yr old’s showstopping knockout and the images and energy of that moment immediately brought the words of A$AP Ferg briefly to mind. Briefly because the fight was being watched while sitting on a couch far removed from the action, and this writer also realizes that at that moment Magdaleno was possibly severely hurt – if not irreparably damaged. Also, at 43-years old, cornerstone principles like sportsmanship, humility, respect for your opponent are all long-learned lessons. However, in a brutal sport like boxing fighters have to suspend their civility, and concern for the well-being of their opponent, in order to earn a living in the occupation they’ve chosen. One would have to be built and trained a certain way to have even thrown the second left hook at the defenseless Magdaleno in the final seconds of the fight. But what is crossing the line in boxing? Tough to say, and one may only know when they see it. CLICK THE LINK TO CHECK OUT THE BITE DOWN BOXING RECAP OF TOP RANK’S KOVALEV VS ALVAREZ 2 CARD THAT AIRED THIS PAST SATURDAY ON ESPN/ESPN+. Ironically, this writer had just watched a FightHype interview of Lopez a week earlier, where he provided a lucid series of comments regarding the shortcomings often associated with one of boxing’s most flamboyant fighters in Adrien Broner. After watching the clip it further cemented the belief that the kid might be the goods. Now, after the kid’s creativity inside the ring ran afoul of what’s normally acceptable for KO celebrations, there’s no need to rush to throw him out with the bathwater. Despite the fact he doubled down on the shoveling move during the post-fight interview with ESPN’s Bernardo Osuna. The move was crass, but Magdaleno invited the disrespect. Once the former two-time world title challenger realized Lopez was easily out-classing him, he elevated the level of machismo by trash-talking the youngster. Referee Gregorio Alvarez, in his most effective moment of the bout, could be heard when he admonished the fighters for the chatter, and instructed them both to knock it off and fight. You know the rest of the story. But, once that switch is flipped, how does one shut it down within seconds when the adrenaline’s still flowing? Boxing rings don’t come with a tail-hook. Professionals ought to figure this out. Boxing’s greatest champions learn this with time. The sky’s the limit for Lopez, and a performance such as Saturday night’s win only expedites the pace of his takeover movement. The path to a Lightweight crown looks difficult at the moment with new IBF champion Richard Commey expected to fight WBA and WBO champion Vasiliy Lomachencko this spring. Perhaps even more difficult is WBC champion Mikey Garcia’s relationships with Showtime and Premier Boxing Champions. Sorting all that out allots time for some folks to forget about Saturday night’s lapse in decorum (heard anything about Jermall Charlo spurning Julian Williams’ handshake after stopping Williams in 2016? ), and for the takeover to reexamine everything at stake. Boxing is absolutely thriving right now! Some fight fans may have more fights to watch than they have free time in which to watch them. At a moment fraught with an abundance of opportunity, why would a 21-year old with the total package want to risk ruining what could soon become a lucrative brand to go full-on heel? Because, the kid is definitely on a new level.